Keeping this short and sweet today – thank you for visiting!! This bag is so gorgeous it’ll be the end of me!! In love with your bag ! So cool ! You are the most stylish pregnant lady!!! Have a smooth delivery Ahn! You look so well with only 4 wks to go!! Adore the striped top. You look so fabulous for being 36 weeks pregnant! Ooo 4 more weeks! How exciting! I love your utility jacket! You’re the tiniest, cutest pregnant lady ever! So, so, so close! This is so exciting! 🙂 Love that striped shirt on you… such a cute look for July! You look so lovely Anh! Obsessed with that top, perfection! You look so stylish to be so far along in your pregnancy. I love the bag and your striped shirt. You’re looking so cute! You’re almost there! You’re almost there! Hooray! You’re doing so well and you still look effortless and beautiful. So cute! Such a perfect outfit for the 4th! 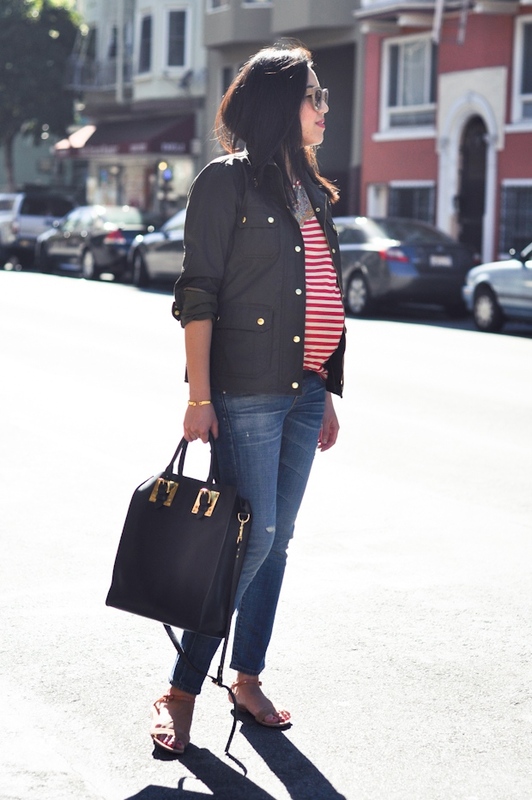 You make maternity look chic. Que guapa estas ,me gusta mucho la camiseta. Love the neckline of this striped top! Gorgeous! Anh, you have so many nice handbags, how do you store them? I’ve noticed that some of mine start to lose shape, even if I store them with tissue inside the dust bag. I say it again – cutest baby bump on the planet!! You look fab. You have a great blog. Nice outfit. 4 weeks away! Thanks for posting while you’re pregnant… I’m at the 4 month mark and am seeing the belly grow, so it’s been fun to find creative ways to dress my evolving body. (Goodbye, trim waist!) :o) I love the ideas you come up with… everything still looks chic and classy. 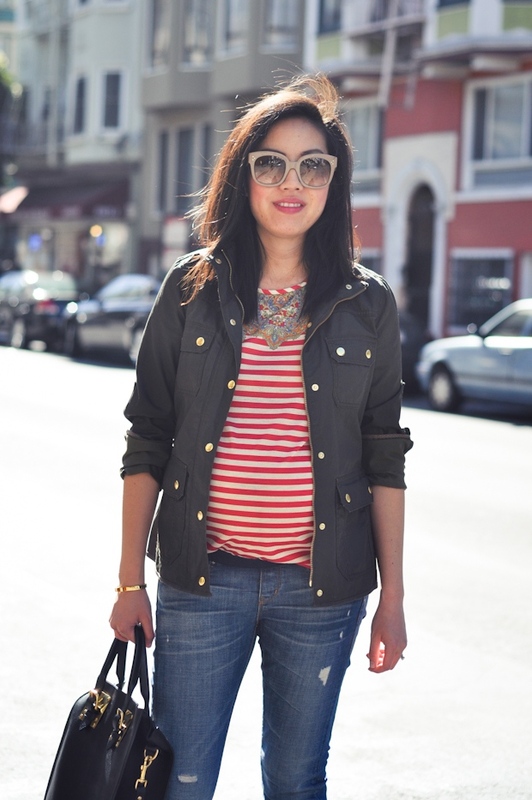 I think my favorite is that striped Madewell skirt! In the event that the finished personal virtual assistant aftereffect of our work for you isn’t agreeable you’ll no more extended utilize our administrations. We have a vested investment in not just determining your tasks are of high caliber and conveyed on time. So great and fashion clothes, I like your style and fashion, love them. In case you are a conservative particular person, this sort of garment may also be of the fascination, by placing more than a cool jacket or blazer could be very good method of residing as much as your personal feeling of character.